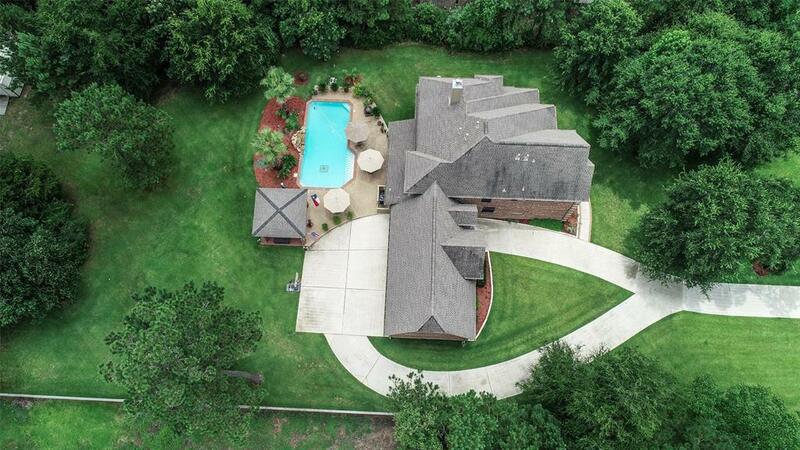 Stylish traditional on wooded 1 acre with saltwater pool and princess balcony! 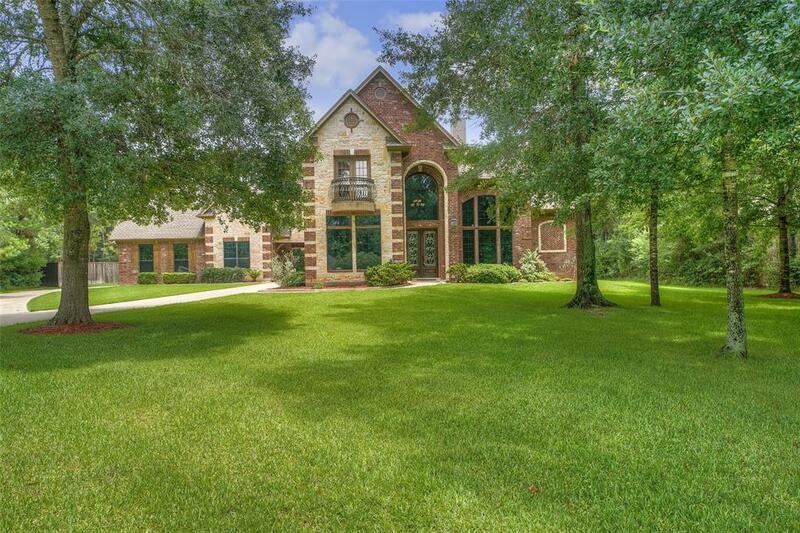 Stunning 2-story entry w/dome and chandelier, arched entries to rooms, art niches, tray ceilings, ambiance lighting, crown molding, built-ins - fine touches! 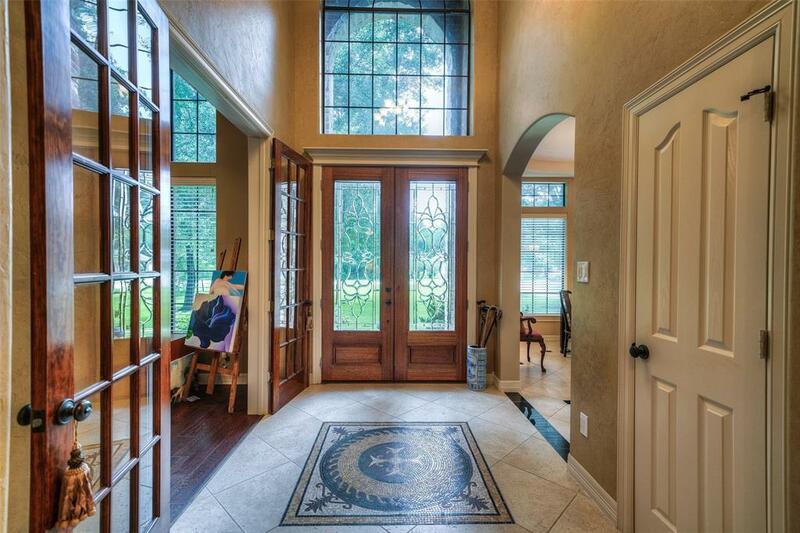 The spacious study has wood flooring and beautiful french doors. Enjoy formal dining w/butler's pantry to the kitchen featuring double oven, 5-burner gas cook top, pantry, breakfast bar, faux antique glaze cabinets to the ceiling, granite. The living room has a fantastic wet bar, wood flooring, fireplace. Master overlooks the pool, has 5-piece bath, unique marble & his/her closets. huge bonus & flex room are up. 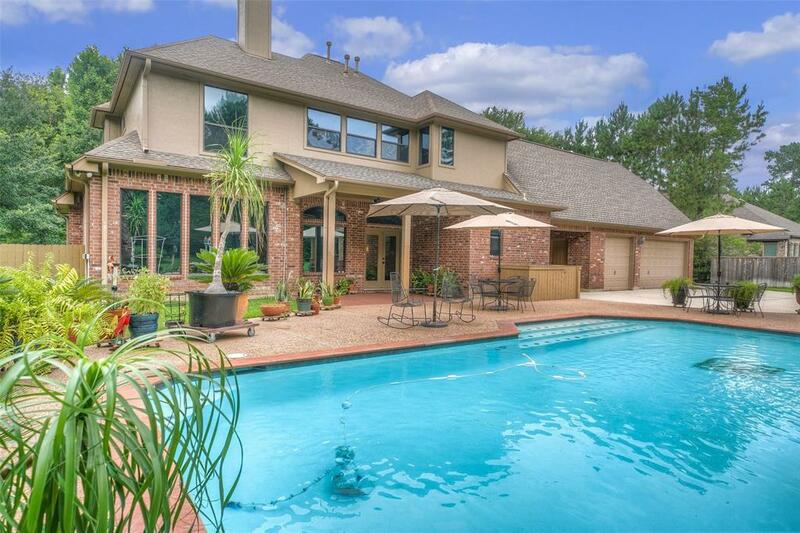 This home has a private lot w/outdoor kitchen, saltwater pool, porte-cochere, o/s 3-car garage w/half bath, storage building, 2 newer 40-gal water heaters, new outdoor ceiling fans, centrl vacuum. Circle drive provides extra parking for entertaining; the lush mature landscaping adds to the already attractive curb-appeal. MISD. Visit today! Builder Name Devon Builders Inc.